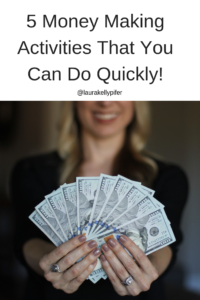 5 Money Making Activities That You Can Do Quickly! - Tips and tools that add value to your world. To give you balance and to make you feel good. You can use these in life, business or both. As a Life and Business Coach, one of the things that I hear most from folks is that they don’t have the money that they would like to invest in themselves. I’ve had to live on budgets and I’ve had to live paycheck to paycheck so I understand what that means completely. I’ve also learned that money is all around us and if we want more of it, there are ways to create it. Today I want to share with some of the ways that I personally have been able to generate more cash flow quickly. This is part 1 of a series that I’ll be putting out so be sure to come back to this website for more information. Let me begin with saying that I don’t recommend anything that I personally haven’t done myself and if I didn’t do it, however, a friend, family member, client etc. has and had a good experience then I will make note and recommend it I will also let you know that some of these items that I mention may contain affiliate links. So if you join, I may get a small referral fee for the mention. Let’s get started, shall we! Virtual Assistant – A Virtual Assistant is someone who takes their skills and uses them to create opportunities to work from home. I’ve worked as a “VA” full time, part time and as needed. I’ve done data entry work as well as as performed tasks that an Executive Secretary would do and everything in between The sky is the limit with the kind of work you can perform as well as what you can charge. I’ve seen VA’s make thousands of dollars per month or hourly rates of $65 depending on their niche. Things to consider: You will need access to high speed internet and a computer. Depending on your client and work you need to perform, you may need other equipment. You will be responsible for keeping track of your time and billing. Most of these positions are ones that are Independent Contractor positions which means that you aren’t employed by your client but you’re an Independent Business owner so you’ll be keeping track of expenses, etc. Places that I’ve found work: facebook groups, Hiremymom.com, various job boards and asking family, friends and local business owners if they need help with things. There’s quite a bit that goes into creating a Virtual Assistant position and something that we go over in Profit In Your PJ’s. Being a Virtual Assistant has been a great income stream for me and its one definitely worth considering if you’re open to it. Mystery Shopping – This is something that I never thought I’d do but I did and was really thankful for the opportunity. Mystery Shopping is typically going into an establishment and reviewing a company. (They tell you what you’re reviewing) Sometimes its simply timing how long it takes to order food, the temperature of it or how clean the establishment is. Other times, you’ll buy an item and return it to see how you’re treated. This has been something that I could do alone or with my family. There have been times we’ve enjoyed dinner out and it was paid for and I got paid for doing the review. #winwin Other times we’ve been to the movies with both the movie paid for and then I got paid for the review. Or, grocery shopping and for my review I got free groceries. There are all sorts of reviews you can choose from and what’s great is that you can pick what works for you. 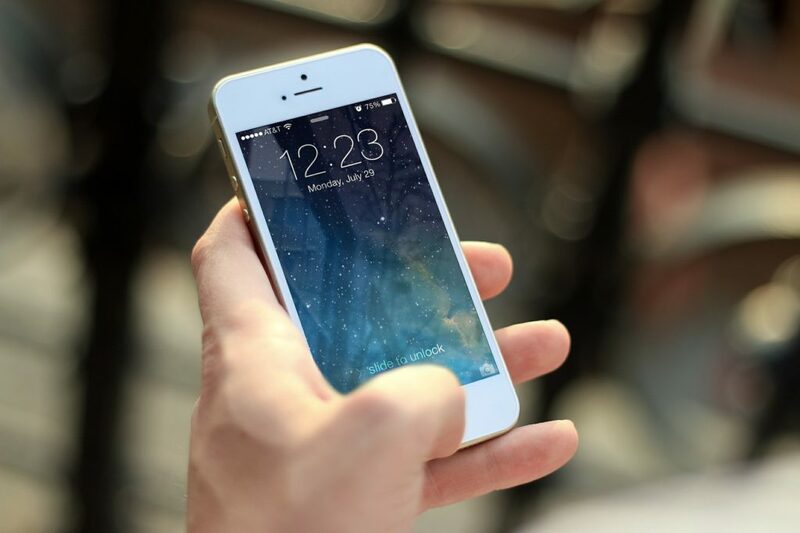 Sometimes you’ll be able to choose from reviews that require a phone call only or internet inquiry. Other times you’ll need to go to a place and review it. 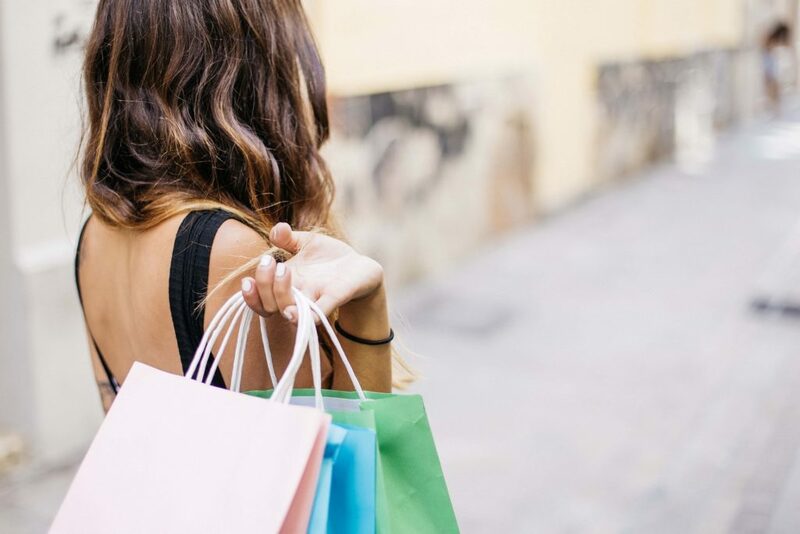 For me, Mystery Shopping brought in several hundreds of dollars each month, not including the free product I could keep. There are many others out there. Be sure to check the reviews for each. Most companies pay monthly and via payapl or ACH. Paid Focus Groups – This is another that I thought I’d never do but really helped generate cash. 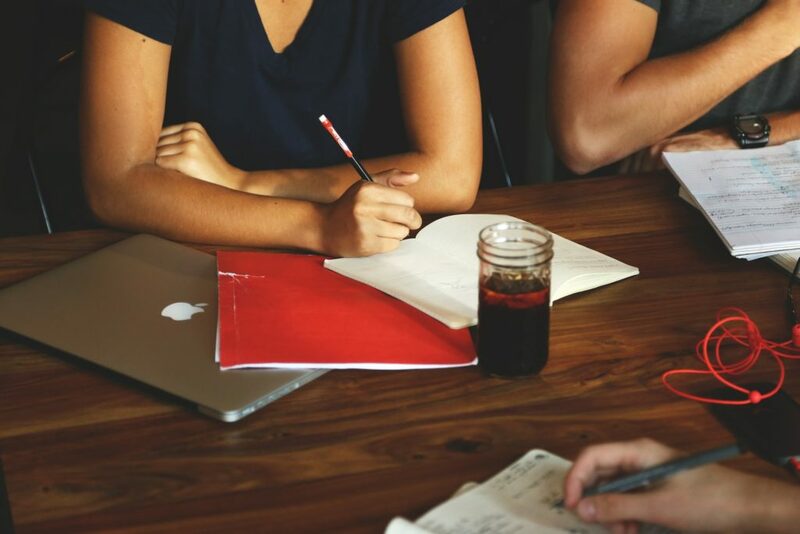 These focus groups are created so that companies have a better idea of what consumers are looking for. They pay you for your opinion. Subjects range from health to what you look for when browsing a website. There are SO many topics to choose from. How it works? You’ll answer some prescreening questions to determine if you’re a good fit. Compensation and time required is posted along with the description of what the focus group is all about. If you qualify and are invited, you’ll participate and then be compensated. Forms of payment can be PayPal or Visa or MasterCard Debit or Gift Cards. Affiliate Marketing – This is great if you’re a blogger, have a website or large internet following on facebook, Twitter or Instagram. Simply put, Companies will pay you to post on your social media sites. Some pay per click, some have a flat rate. It really depends on the company and the product. There are TONS to choose from but it does take work and there is a lot to learn. Once you get the hang of it, watch out! One company that I use because it’s super easy is IZEA. All I have to do is click a button and the posts that I want to recommend are automatically sent to my Twitter account and to my facebook page. Sell your stuff. eBay, Craigslist, Poshmark, facebook marketplace or even consignment shops are great places that you can sell whatever it is that you no longer need. To get you started, here’s a credit for Poshmark (Use LKP24 when registering your account). and I’ll throw in a bonus idea for you! Apps/Websites that pay when you shop – ebates, DOSH, Ibotta, Checkout 51 are the ones that I use the most. I simply log into the app or website and do my shopping as if I would have already done. It’s like get a refund. Super easy! I hope these these ideas have will help you generate some cash flow quickly as they’ve done for me. I’ll be adding to this list so keep an eye out! PS – Curious about the whole VA thing that I mentioned above? Profit in Your PJ’s, my group program, starts soon.